Meredith Grey has had a tumultuous love life over the course of Grey’s Anatomy’s 15 seasons. Her relationship with Derek Shepherd was and always will be epic and although nothing can quite compare, Mer has had other romantic entanglements throughout the years. Although it’s certainly arguable that Meredith’s greatest romance was with Cristina Yang, the two were never actually anything more than friends, though it was a friendship that ran incredibly deep. From one-night stands to friends that almost became something more, Meredith’s story has been nothing if not exciting. So, how does everyone else stack up against the guy we all know will wind up as #1 here? When Derek chose Addison over Meredith in season 2, the latter was understandably a bit of a mess. She embarked on a series of meaningless one-night stands in the hopes of cleansing herself of all things Derek. Meredith had every right to move on and the guys left little impression on her or viewers. However, Meredith’s fling with Steve Murphy was pretty humiliating for everyone involved. The guy showed up at the hospital the next day, with a case of priapism. This is Grey’s Anatomy though, so of course Steve had a spinal tumor… that Derek had to remove. It was certainly an awkward situation, but either way, Steve was never going to be anything more to Meredith than a one-night stand. Meredith got a bad wrap for this one, but the truth was that she and George were both adults and he knew that she didn’t reciprocate his feelings. George had been crushing hard on Meredith since the day that they met and in a particularly vulnerable season 2 moment, she finally gave him a shot. This was doomed to be as much of a failure as Meredith’s other male distractions, but the fallout was considerably greater. The encounter left their friendship in shambles. Eventually, George stopped berating Meredith and realized that he was as much to blame as she was for their evening together - fans will remember that it ended in tears. These two were always going to be better off as friends. This was a bit of a non-starter, but John does get points for Josh Radnor’s charms. John was different from Meredith’s previous romantic encounters, as the two met on a blind date. Interestingly, they were each meant to be on a date with other people, but they hit it off and chose to continue their time together. Everything seemed to be going great, at least until John revealed that he didn’t like kids. That might not have been the final nail in the coffin, but he also called single mothers “desperate”. Meredith ended the date, leaving viewers wondering what the point was of having Radnor guest star in this single season 15 episode. William Thorpe’s biggest issue was poor timing, but if everyone’s being honest, this season 12 addition simply wasn’t all that memorable. Thorpe was a surgical oncologist that took an interest in Meredith. She seemed to like him well enough, but definitely wasn’t yet ready to move on after Derek’s tragic death. Their few dates were plagued by Meredith canceling in a panic and after the first time that they were intimate, she kicked him out of her home. Derek was the love of Meredith’s life and meeting someone new was always going to be a struggle. Unfortunately for William, he wound up being the bad pancake. After largely shifting the focus away from Meredith’s romantic life for a while, season 15 chose to put her in a love triangle of sorts. One corner of said triangle was Atticus Lincoln. He is currently the head of Orthopedic Surgery at Grey Sloan Memorial and a very recent addition to the series, having only debuted this season. Although Link was initially presented as a viable option, these two never really got off the ground. That’s fine, since they didn’t seem to like one another all that much anyway. Even still, it was pretty cold of Mer to ditch Link for Deluca. Sure, she had to choose, but standing someone up isn't cool. The other corner of this season’s love triangle was Andrew DeLuca. What began with a drunken kiss at the end of last season has evolved into a fully formed relationship. Meredith not only chose DeLuca over Link, but they are now officially a couple as of the most recent episode. As this relationship progresses, it may find a different spot on this list, but for now, it’s kind of just okay. Meredith's romance with Andrew has become quite divisive among fans. Yes, she deserves a happily ever after here, but these two don’t have a ton of chemistry. To be fair though, the sparks that flew between Mer and Der are pretty impossible to beat. Some may find it controversial to place Nathan Riggs above DeLuca here, but he and Meredith had far more chemistry. Their romance, which began during season 12, was a complicated one. Years prior, Nathan had been in a relationship with Owen's sister, Megan, and the latter blamed the former for her death. Both Nathan and Meredith had lost the person that they loved most, a fact which bonded them. Just when it seemed that Meredith and Nathan had cleared all obstacles in their path and that they could finally be together, the show dropped the mother of all twists: Megan was alive. It was nice to see Nathan reunited with the love of his life and all, but although Meredith understood, not all viewers saw the point of this rather soapy plot twist. If there were any justice in the world, Finn Dandridge would’ve met Nurse Rose when she brought her dog into his office for some issue or another and they would’ve lived happily ever after. Point being, Finn deserved a better ending. He was such a great guy that he actually gave McDreamy some real competition. 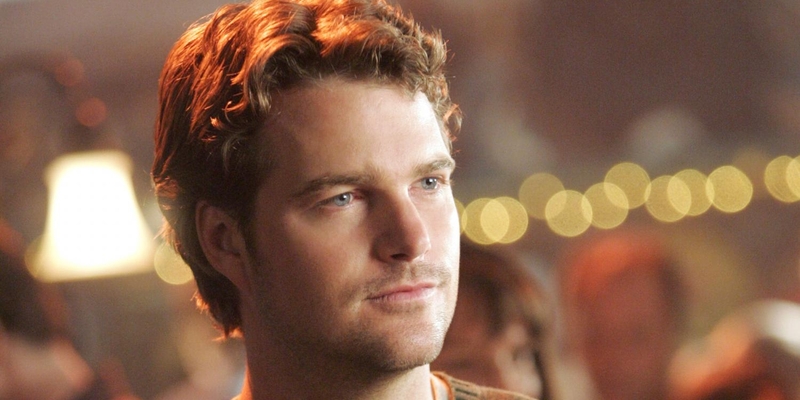 Seriously, Chris O’Donnell made Fin impossible not to root for, even though viewers were still as hung up on Derek as Meredith was. By season 2’s end, it was obvious that Mer had made her choice. Fans were overjoyed, but we’d like to think that Finn has since found happiness with someone else. There was never any question about who would end up in the final spot on this list. Deredith has become legend at this point. The reason why so many fans have such a difficult time with the idea that Mer is moving on is because no-one can replace Derek, not just in her heart, but in theirs as well. Derek’s death was heartbreaking, but due to his desire to leave the series, Shonda Rhimes felt that it was the only way to write him out. She wasn’t wrong. The alternative of having Derek walk out on Meredith and their kids is unimaginable. Years later though, fans still continue to mourn the loss of McDreamy.